It can be shocking and not a little confusing, when you're face to face with a Holocaust denier. It's like being told that the Earth is flat, or humanity doesn't really need to breathe oxygen. Your belief is exhorted with a straight face. So much passion pressed into every word. It feels like it should be a joke in bad taste, but your laughing dissent is met with derision. You are a sheep. You're gullible. You'll swallow up whole anything that the establishment tells you, accepting propaganda as fact. And the clever ones are so very convincing! They provide scholarly looking papers, random facts which seek to turn all you know on its head. The Holocaust happened. History is not on trial. The evidence is overwhelming. 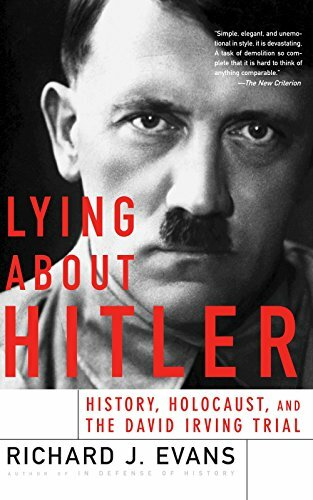 Now read on to discover how to handle those who say the Holocaust wasn't real. Don't engage deniers of the Holocaust in conversation. Don't demean yourself nor historical inquiry by providing them with fuel. There's a long-held truth on the internet that meeting fire with fire merely causes a flame war inferno. That's generally expressed as 'don't feed the trolls'. Some Holocaust deniers simply are trolls. The best way to make them go away is to ignore them. If they're not igniting the requisite outrage (which was the object), then they'll get bored and go to bother some other forum instead. It's passing on the problem, but hopefully every other forum's mods and members know the same rules as you do. In the world of academia, every Holocaust revisionist and denier is considered to be a troll. Most historians quietly roll their eyes, but walk on by without comment. You doing the same would mean that you're in very good, scholarly and professional company. There are several reasons why the majority of historians do this. It's a waste of time. Those denying the Holocaust are either trolling - thus looking for a fight - or else they're not the sort of people capable of listening to reason. They certainly won't look at the evidence, unless it's to find out what 'sort' of proof it is, in order to produce some pat and unconvincing argument as to why it doesn't count. It's distracting. Would you expect an advanced mathematician to pause in their contemplation of Pythagoras's unsolved theorems to explain to a grown adult why 1 + 1 really isn't 3? Or NASA scientists to halt their work in analyzing the data from Mars, so they could respond to assertions that the moon really is made of cheese? Nope, and addressing Holocaust deniers is on precisely the same level for historians. It dignifies the ugly fiction with undue importance. This is by far the most commonly cited reason for not engaging. 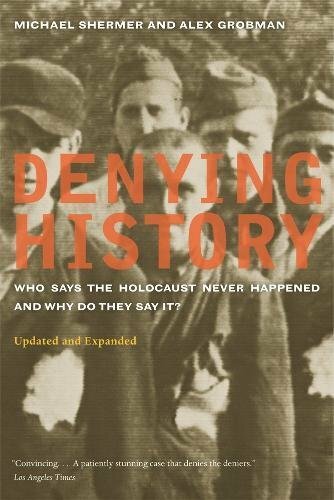 Casual observers might assume that there really is a controversy surrounding the Holocaust, if known historians are rushing in to silence those spouting it. The Shakespearian 'methinks the lady doth protest too much' trap in action. If you encounter a Holocaust denier, then a quick quip of ridicule; a blunt and to the point 'no'; or resounding silence, before you extract yourself from the conversation completely is an appropriate response. It's certainly the most often employed, and very possibly the most sensible, way of dealing with Holocaust denying trolls. It's a sure-fire way to outrage people, but it's also pushed by extremists with a racist agenda. Either way, this kind of hate speech is on the rise. 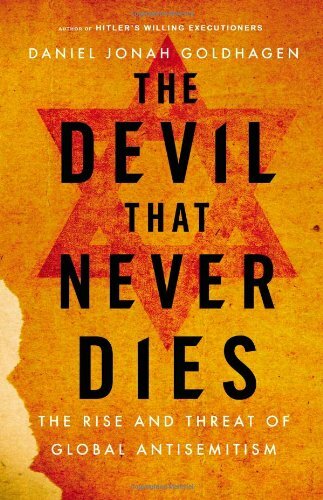 "All it takes for evil to triumph is for good men (and women) to do nothing..."
If you have the knowledge and the courage, then the intuitive thing is to stand up to Holocaust deniers, destroying their flimsy premises point by point. Yes, I have paraphrased the quotation in the title, in order that females don't think that they can just sit back and watch. The sentiment remains the same and it's one often deployed in the mission to combat Holocaust deniers. Or, to put it another way, 'silence means approval'. Option two, in dealing with those who say that the Holocaust never happened, is confronting with evidence to counteract every dodgy 'fact' they peddle or bizarre premise they suppose. For the majority of those spouting such ideas, this is a ridiculously easy thing to do. You certainly don't need a degree in History to pull it off. Half a second in an internet search engine will provide a wealth of historically verified evidence to throw into the mire. It's hardly likely the doubtful theories are that in-depth. Those who prefer a quick read will enjoy this Wikipedia page: Criticism of the Holocaust Denial (though remember that deniers can also access that). People who like their information wrapped up in a bit of social networking might opt for Reddit's Holocaust Conspiracy subreddit. 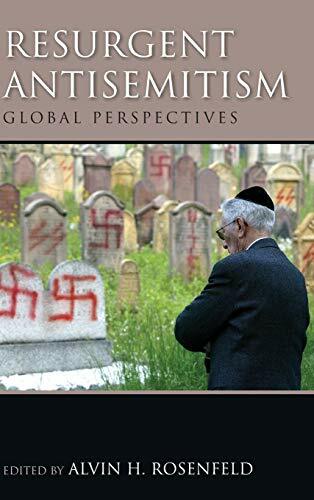 Seeking scholarly rebuttals and in-depth analyses of Holocaust revisionism? Then check out The Nizkor Project. More about that in a minute. Deciding to take on deniers of the Holocaust can be a long drawn out and thankless task. It will definitely ensure that the troll is hanging around your forum for much longer, and might even prompt them to bring in some friends. Moreover, you will elicit horrified responses from those watching from the sidelines, accusing you of feeding the trolls and probably demanding (if it's in your power to do so) that you delete the hateful comments left by revisionists. But there are benefits too, which might just make it worth the endeavor. Ken McVay wasn't a qualified historian. He was an ex-US marine and erstwhile manager of a service station. He was also an early internet user. While surfing newsgroup forums, he encountered one titled alt.revisionism, which he said made him feel physically sick. He read page after page of links and discussions from people denying that the Holocaust ever happened. He began to do his own research to rebuke each comment and expose the 'truths' on offer. That grew into him founding his own website - the Nizkor Project. McVay was prompted to take his forum presence to that next level, after encountering a reason why some people revised history in this way. 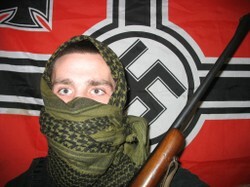 It was buried within the archives of a website for white extremists. He began to urge others to help him stand up to hate groups, and become anti-Nazi activists. McVay's website is there to facilitate those who would answer revisionists wherever and whenever they find them. Seeds of doubt may form over aspects that were never controversial. This is precisely the ideology and recruitment tactics used to pave the way for the Holocaust! People like Ken McVay are motivated by considering who would be most likely to read the information on show. That is people casually browsing the internet, who may or may not have any prior knowledge about the Holocaust. It could not be assumed that they had the ability to sort the wheat from the chaff in the historical evidence placed before them. It's all well and good historians refusing to address deniers in their books and papers. But the kind of people reading those are likely to already know about the period. They would be less susceptible to believing what deniers have to say. But the casual browser hasn't the context. It might be that people reading glance over the assertion without really taking all of it on board. But the seed of doubt has been planted. The implication is inherent that there is something controversial about the facts of the Holocaust. Nobody likes to think that they've been gullible. That spark of suspicion could all too easily grow into an investigation of the broader picture, but only through those links provided, and they lead to revisionist websites. As any educator, media mogul or government official can tell you, those who control the sources of information control everything. And the Reich Minister of Propaganda, Joseph Goebbels, was particularly good at it. That's how Hitler's National Socialist party and policies garnered so much support in the first place! The first thing that the Nazis did after invading Poland was to seize control of all newspapers and radio stations. There was a reason for that. You will be prolonging the agony, providing more opportunities in which hate speech may flourish, AND you could well be making things worse. 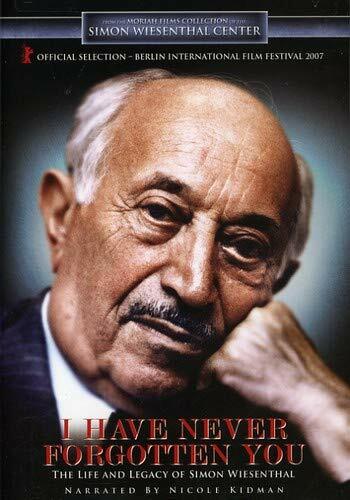 Simon Wiesenthal is a high-profile Nazi hunter, and Austrian Jewish survivor of three concentration camps. He founded the Simon Wiesenthal Center (SWC) in Los Angeles, with one of its avowed purposes of 'confronting antisemitism, hate and terrorism'. Therefore you might be surprised to learn that the foundation criticized the Nizkor Project's work. The problem was that, in order to refute the claims of Holocaust deniers, Ken McVay linked to the sources. That gave extra publicity (and access) to the websites of known hate groups. "On whose side are McVay and his cohorts on?" asked SWC representative Sol Littman, in correspondence with Nizkor Project funders B'nai Brith Canada. By confronting Holocaust deniers on forums, or in person, you are inviting them to prolong the conversation. That means that more dodgy facts are pouring out, more links are being shared, more vitriol dripped into the discussion. You may well be there answering each point with proof as to its fallacy or farcical nature. But are you more convincing than them? If you rush in to answer one of the clever ones half-cocked, then you could easily be the one looking tongue-tied and inadequate. In short, the denier not only just 'won', but the debate was left looking like the revisionist evidence held up to scrutiny. The confrontation inadvertently 'confirmed' the apparent 'truths' in pseudo-histories (or real history, presented selectively and without context). 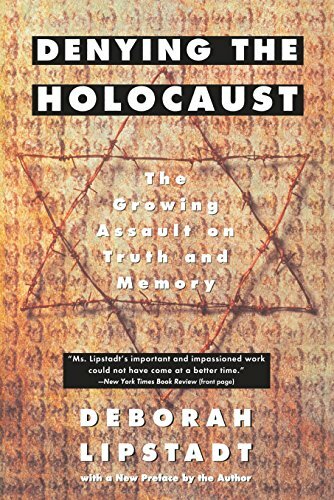 It all leaves the casual reader with even more reason to suppose that there's real doubt at the heart of Holocaust inquiry. Should You Confront a Holocaust Denier on the Internet? Even the academe and survivors are split on this issue, so you may express your opinion without fear of falling on the 'wrong' side. Why Not Just Delete the Comments? This is an option only open to webmasters or moderators. Users of the same haven't access to the necessary controls. If you think that you've just entered an intellectual minefield, in considering ways to combat Holocaust denialists, then you'd be right. The temptation is therefore to simply make the issue go away, especially if you're not a trained historian. Often it's not even a discussion about the Holocaust which prompts the arrival of such a troll. It wasn't on Wizzley, when we were visited by one. He subverted a debate about Suffragettes and the Titanic into denying the Holocaust. He didn't even attempt to demonstrate the relevance. In those situations, there's even more impetus on moderators to delete revisionist comments. It's the equivalent of a chairperson intervening to keep the discussion on topic, so can neatly side-step any criticism of the action with reference to that. It may appear to be the neatest solution of all, but this does open up a whole new can of worms. You open yourselves (and your whole website) up to accusations of stifling freedom of speech, disrupting the flow of information and promoting censorship. As these are three of the hottest no-nos on the internet, enshrined in everything from the Hacker Ethic through the Cypherpunk movement, into the netiquette of most social networking forums, to underlying the ethos of cyber activist groups like Anonymous or whistle-blowers like WikiLeaks. The notion that 'information wants to be free' has been so pervasive on-line for such a long time, that whole generations have grown up expecting it. Deleting single-issue comments, like those perpetuated by Holocaust deniers, might seem like the sensible solution. But it risks eliciting a (probably silently expressed) black mark against your site and forum. People who couldn't care less about history, and all attendant factual debates, will now have your bit of the internet pegged as somewhere not acting within the spirit of the internet. And that could be the most damaging aspect of all. Repentance means 'changing direction'? I like that. You do make very good point. Where I was heading with mine is that it's never one big evil which defines our path. It's the millions of tiny, petty evils along the way. I agree that good and evil are in all of us, to differing degrees and at different times in our lives. But each life has a general direction one way or the other. You are fighting for truth, you work for human rights and you minister your faith sincerely, which shows that the general direction of your life is towards good; there may have been Nazis who did the occasional good act, but the general direction of their lives was wrong Ultimately, good and evil are not about the occasional acts that we perform, but the direction in which we travel.I believe that holocaust deniers are travelling in fundamentally the wrong direction,a path of lies that leads to bloodshed. The word repentance was in Greek metanoia, which meant changing direction. Those who defend the Nazis are in radical need of redirection of life. Frank - I'd not considered this in terms of the war between good and evil. I guess it's because I see the poles of both in all people. I recently watched a documentary which interviewed two men who had worked in Auschwitz. It was fascinating to see their viewpoint. It was even more mind-blowing to imagine what I'd have done in their place. The fact is that no one person was responsible for everything. Even the SS guards were each just one small cog in the whole machinery of genocide. The bloke who counted the money taken from new arrivals could say, hand on heart, that he never killed anyone. The person who made the selections never dropped the gas pellets. The person who did that never chose which individuals were in the chambers etc etc. They could each sit back thinking, 'I'm just one person, who can't change a thing, and who would be replaced instantly if I tried. This is much, much bigger than me.' It was only by working together that the full horrors of Auschwitz were able to occur. Learning their stories gives us an even bigger into the petty evils of the everyday. One big evil occurred because millions of people were unable, unwilling or just plain too scared to not commit their little evils. Ember - To me, that visibility is key. On somewhere like Reddit, where you can't delete comments, but you can downvote, that should be the baseline expression of disapproval. I do my best to counteract any argument that I see on there. On Wizzley, I pretty much let the denier rant, because he was so incoherent that he was doing a great job of discrediting himself. Plus he was hit with a tonne of ridicule from everyone else. It's all very forum, and troll, specific. Eva's IAmA was so big that I felt it imperative to argue against all of the deniers for all of the reasons that you stated. I give up on your brother. :p But yes, the Nizkor Project was set up by a non-historian for non-historians, so they can fight back too. Ken McVay said that one of the reasons that he's so detested by revisionists is that a) he's not Jewish and b) he's not a historian. All of their usual 'zOMG he's part of the Zionist/historian conspiracy to take over the world!!!!' cries don't work for him. There is one point that is fundamental and overlooked: the holocaust was born of evil and was evil's greatest expression, just as every act of genocide is. There is force/presence of evil in the world, it wanted the holocaust, I believe, and it wants it back again. Against this evil we on the side of good are ever at war, and there is no neutrality. All holocaust deniers take the side of evil, and we must ever oppose them. I'm torn whether to answer 'yes' or 'no' above. I think that simply put the 'stupid' ones are pretty much just trolls. in which case, not really engaging them is the best way to deal with it. It is the ones which are more sly and intelligent in the ways they're trying to deceive people that can be dangerous, and who I think should be addressed. I think it is important that if that information is put out in a public forum that is getting a lot of visibility that they should be refuted so that the casual readers passing through get the accurate historical facts displayed alongside the posts which may otherwise cause reasonable doubt. I know that for example, with Eva Mozes Kor's AMA on reddit, there is a comment from Holocaust deniers coming just off one of the top comment threads which caused other redditors who were there speaking to Eva to pause and question it. They weren't being nasty or trolling or what have you, they just basically opened a discussion. Smart in how they were trying to deceive others. (To the extent of the redditor now doubting saying a longer version of 'Huh, it seems Holocaust deniers just reasonably refute some of the data, they're not hateful/anti-Jewish like I assumed'). In that case, is it worth identifying what they actually believe and then refuting it? Since someone now clearly trusts their word more. And because the discussion is already there, and getting attention. I think it is.